I can’t believe that I haven’t reviewed this book, since it’s easily one of my top five favorites. Written by Nobel Prize-winning German writer Hermann Hesse in 1919 under the protagonist’s name Emil Sinclair, Demian’s the perfect example of a Bildungsroman (a coming-of-age story). Emil is torn between the worlds of light and darkness, and struggles as a child who wants to obey and rebel against his parents at the same time. After bouts of bullying in school, he eventually meets a mysteriously mature classmate called Max Demian. Demian broadens Emil’s views on religion and spirituality by making rather controversial claims about the Cain and Abel biblical tale. He also advises Emil to not separate light and darkness, good and evil, God and Devil, but rather worship both worlds simultaneously. Emil will eventually learn of this dual-powered diety known as Abraxas. The novel follows Emil’s life as he goes to boarding school, meets other male mentors and female love interests, and inevitably runs into Demian again. The reader is given a sense that their fates are entwined, especially when Emil moves into Demian’s home and forms an unique relationship with Demian’s mother Frau Eva. Demian is relatively short and easy to read, but don’t assume that it’s simple. It’s chock-full of influences from Jungian psychoanalysis, Friedrich Nietzsche, and various other philosophies. Hesse was an author heavily concerned with spiritual and intellectual enlightenment, as seen in his more popular works Siddhartha and Steppenwolf. That being said, if you’re an evangelical Christian, this story will be more difficult to swallow. Demian is not afraid to make blasphemous comments about God and faith. 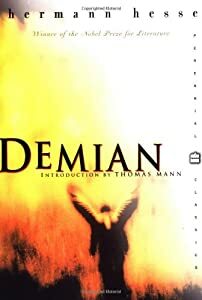 But he encourages the reader to question and doubt religion in order to find your true self, so I recommend Demian to readers who enjoy widening their minds. I have to thank my high school English teacher for giving us the opportunity to read this book. She loved it so much, in fact, that she named one of her dogs Demian! This novel truly changed my life, and I will treasure it forever. 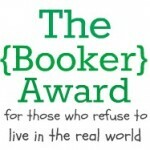 30-Day Book Challenge: The End! It’s the last day of September! For once, I’m glad my birthday month zoomed by, because it means I’m that much closer to ending 2011, starting anew, getting my Master’s, and finally joining the ‘real world.’ But sadly, the end of September also means the end of the 30-day book challenge. It was a fun list to fill out, and I’ll definitely refer back to it when I’m mulling over what to blog on my slow days. So here’s the end of the list! As always, feel free to jump in and comment on my choices–or add your own!